Shop Gibraltar SC268R Bass Drum Hoop Bell Mount from AMS and enjoy Fast & Free Shipping. 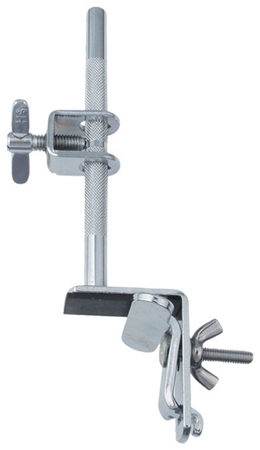 The Gibraltar SC268R Bass Drum Hoop Bell Mount attaches on a bass drum counter hoop. Ideal for supporting a cowbell, jamblock or other percussion piece, the SC268R features a 9.5 millimeter post with ‘U’ clamp and wing screw. Love my new cowbell and mount! Thanks to AMS, I can afford to get all the little things I need, because they allow me to finance all the big stuff I need! Being retired and living on disability, this is a Godsend! Thank you AMS!